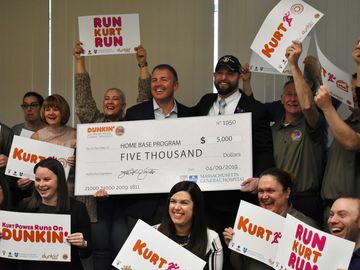 We’ve baked up a big way to honor a hometown favorite, designated hitter David Ortiz, who’s celebrating his final season with the Boston Red Sox. 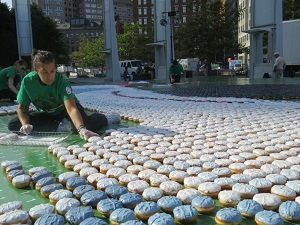 In late September, more than 60 volunteers from our headquarters outside of Boston brought 10,000 of our signature donuts to the Rose Kennedy Greenway in downtown Boston to create a larger-than-life mosaic of Big Papi, one of Boston sports’ larger-than-life heroes. 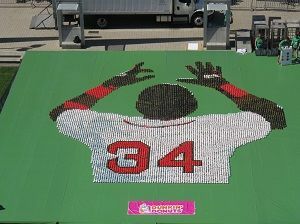 Made completely from the 10,000 donuts, the mosaic featured Big Papi’s iconic post-home run pose, lifting his arms to the sky in celebration. 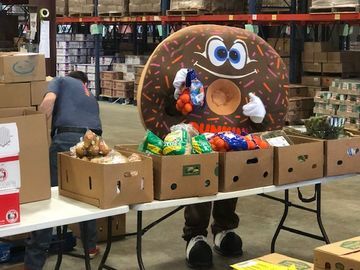 As part of the sweet celebration of Big Papi’s career, Dunkin’ Donuts will donate 34 cents from every donut used to create this masterpiece to The Greater Boston Food Bank. The $3,400 will support The Greater Boston Food Bank’s work within the local community. Check out the final masterpiece below. 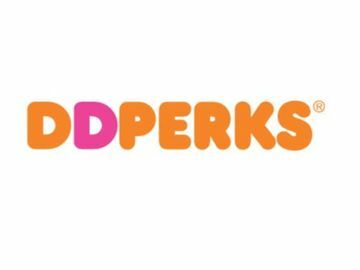 For more DD videos, visit Youtube.com/DunkinDonuts.